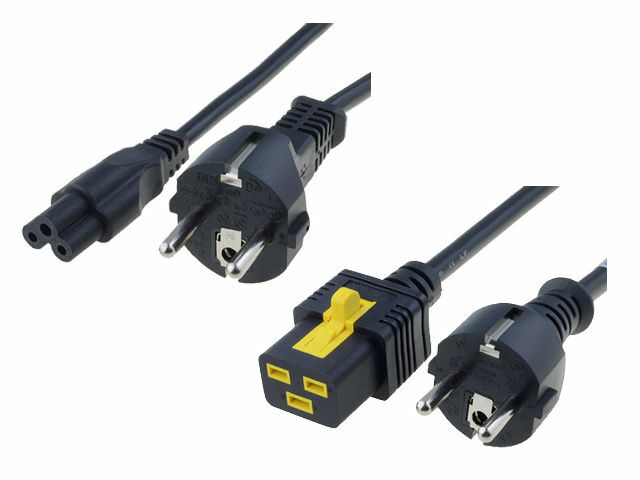 TME’s offer has been enriched with cables equipped with a commonly used UNI-Schuko – CEE 7/7 (E/F), English BS 1363 (G), as well as American NEMA 5-15 (B) plugs. At the opposite end of the cable there are popular connectors used in computer hardware, laboratory or medical equipment: IEC C5, IEC C13, IEC C19. IEC C13, IEC C19 connectors are also available in the V-LOCK version. The offer also comprises of IEC C13 - IEC C14 and IEC C19 - IEC C20 cables. Cable length is within the range from 0,6 up to 6 metres.